Arapahoe High School (Littleton), "The DECA Store"
Aspen High School (Aspen), "AHS Red Zone"
Boulder High School (Boulder), "The School Store"
Chatfield High School (Littleton), "Chatfield DECA Snack Shack"
Cherokee Trail High School (Aurora), "The DECA Corner Store"
Conifer High School (Conifer), "Snack Shack"
Highlands Ranch High School (Highlands Ranch), "Falcon Nest"
School store sells school supplies, health and beauty items, spirit novelties, and apparel items. 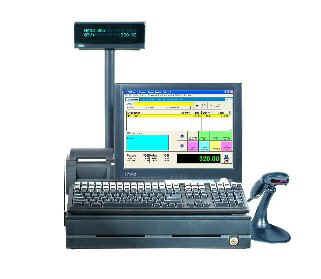 1-POS Station, Touch Screen PRM w/Customer Display Monitor. 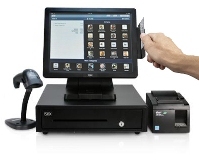 Liberty High School (Colorado springs), "The DECA Store"
"The DECA Store has Touch-Screen Monitors & Smart POS Keyboards" Students can enter Sales with either formats. Monarch High School (Louisville), "Coyote Cafe"
Sierra High School (Colorado Springs), "DECA School Store"